We provide support to people in the Newcastle upon Tyne area who are experiencing seizures or managing a long term condition like epilepsy. Living at home with a condition that causes seizures is stressful for patients and their loved ones; our service provides a safety net that enables people to live safely and independently. Freedom and confidence to live in your own home, to live alone (if you want to) and to get on with your life. Peace of mind for you and your loved ones, that help will be summoned if you need it. We provide and install discrete alarms and sensors that are connected to our 24 hour monitoring and response centre in South Gosforth. Send one of our 24 hour response officers to your home to give you the help you need. We?re here 24 hours a day every day of the year and have a fleet of response vehicles and team of response officers based in South Gosforth so help is never far away. Our experienced 24 hour response officers are on hand every day of the year and can be dispatched to your home within minutes of an alert. They can administer first aid, use specialist equipment to help you up if you have fallen and stay with you until you?are safe. Our service is available to children and adults.? It is available privately from ?5.95 per week with no installation or set-up costs and free cancellation at any time. In some circumstances funding may be available to help you pay for the service. Your epilepsy nurse, occupational therapist or social worker may be able to provide advice about accessing this. We offer a full range of equipment and support that is tailored to your individual circumstances. ?We can work with you and your family members, carers and health care professionals to choose the package that best suits your situation. Contact us to request a free information pack or book a free no obligation consultation to find out more. Click here to read Jane’s story. 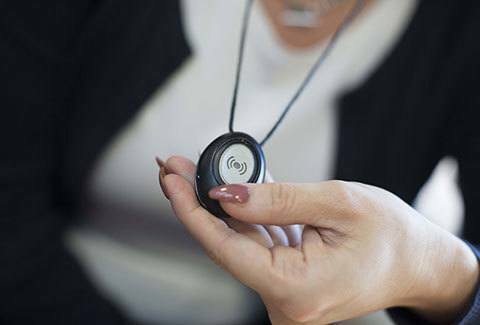 Discrete button you wear around your neck or wrist. Press any time you feel unsafe or unwell. Splashproof so you can wear it in the kitchen and bathroom. Connects you to our 24 hour response centre when you press the button. 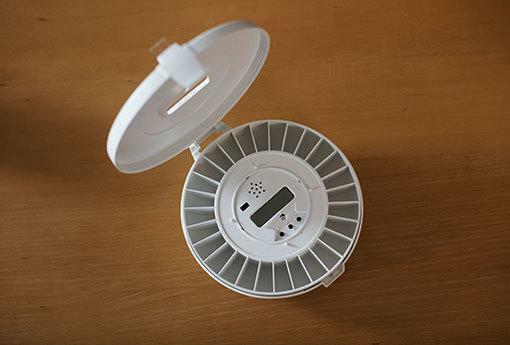 Helps you control your condition by ensuring you take your medication on time. Secure box that can hold 28 doses. Sounds an alarm when your dose is due. Can be filled by a relative or at selected pharmacists. Alerts us if you miss a dose so we can check you are ok. Monitors your movements and will alert us if you fall and are unable to get up. Features a button so you can manually call for help. Splashproof so you can use it in the kitchen or bathroom.